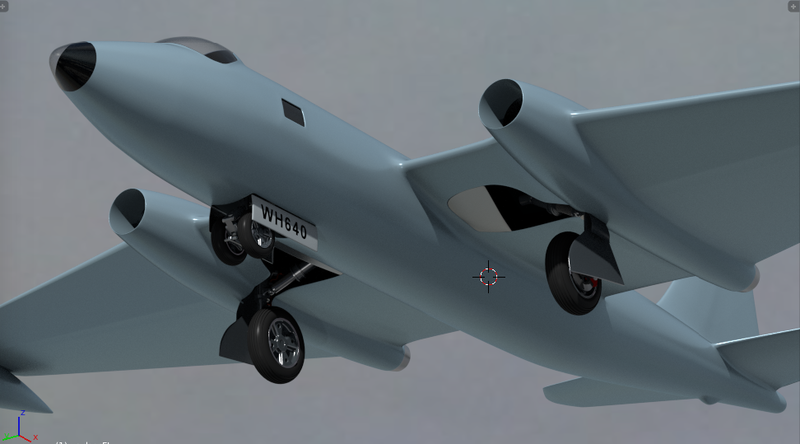 View of Canberra B2 WH640, not in Suez Colours. WH667 - !0 Squadron Suez markings. WH640 in Pale Blue Base Coat. I am at last happy with the overall shape and smoothness, now I will start on the control surfaces and undercarriage, I have modelled the wheels, and will post a render once I have put the disc brakes on. This project is why I did my Jet Plane WIP here in this section, so I can learn how to do a real plane. This is going to be a long term effort that I may pick up and put down so I never get tired of it. I must than everyone who helped me with the Jet Plane project, I have learnt so much that will be essential for this project. I already know that the cockpit will probably take me months not weeks to get right. 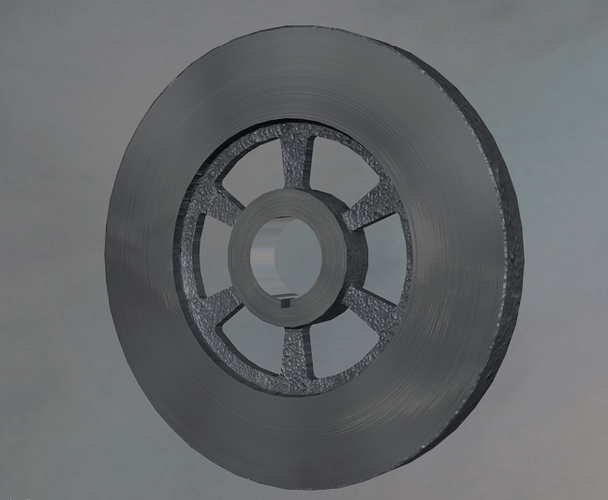 The wheels alone took me two days to get right! Anyway I hope you will find it interesting, and I will welcome any comments, critiques and advice. This mirror modifier has already gone, there is a lot of asymmetry about this aircraft, the navigator’s window below the cockpit bubble on the port side being just the first of them. The navigator sits behind the pilot with just this little window to see outside. He can also lay on the floor and look out of the front clear plexiglass dome. Very nice Clock, the model looks really smooth and in proportion, the wheels turned out brilliant…good job on them! Here’s the alternate tip tank layout, sometimes they are hung below, sometimes they are “Built in”. 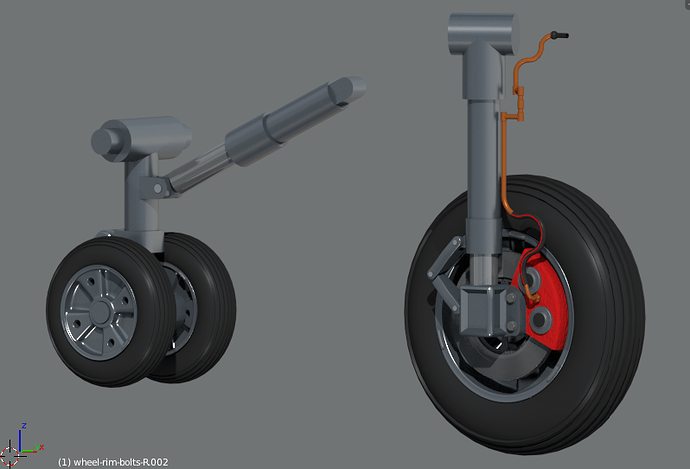 I will develop both types, I have also added a wheel render, before I put the disc brake on. 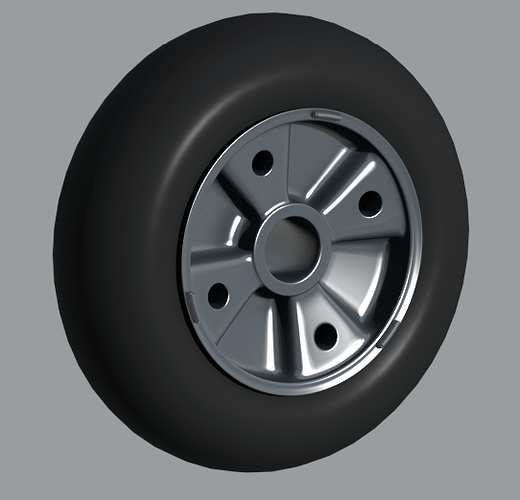 I will of course be texturing the tyre and adding some deflection following what I leant from my Tractor Transmission project. Looks like you are doing a fine job . The Canberra looks right . Very nice! I can’t wait to see how this turns out. Thank you! I have spent a lot of time researching, finding drawings to use as reference images, staring intently at photographs, etc. I think I will probably buy the Airfix plastic model as well. I want this to be right, or as right as I can make it, not that plastic models are too accurate. I am going to use what I have learn’t on my Jet Plane WIP to make this as good as I can. I hope you are very patient, this is going to be a long term project I think! :yes: I shall start on cutting control surface soon, then go for an initial paint scheme render. Here’s the Main u/c leg. 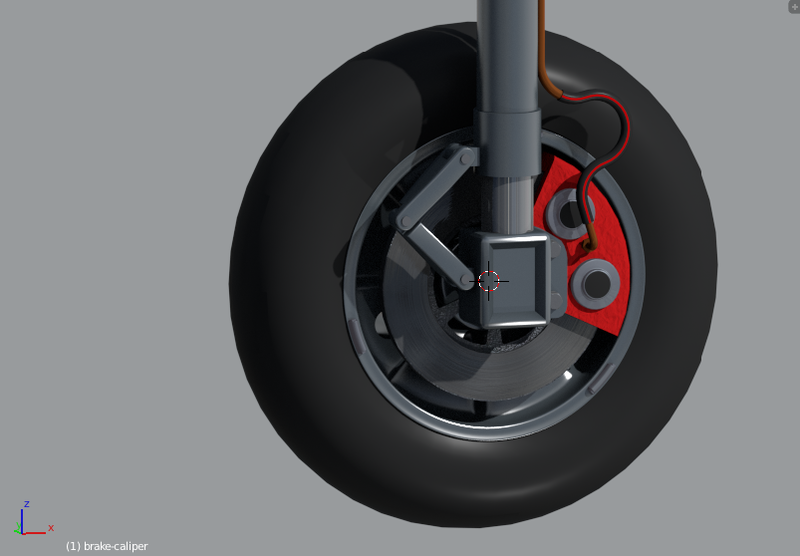 I still need to add the hydraulic actuator, but it’s progressing. I spent a long time today looking for suitable images on t’Internet for my brake disc materials. Eureka! 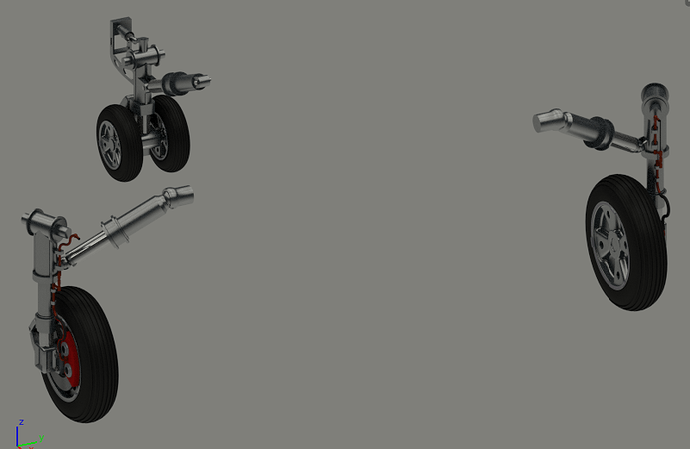 I have just got all the pipework and hoses animated along with the undercarriage retracting and the suspension working. 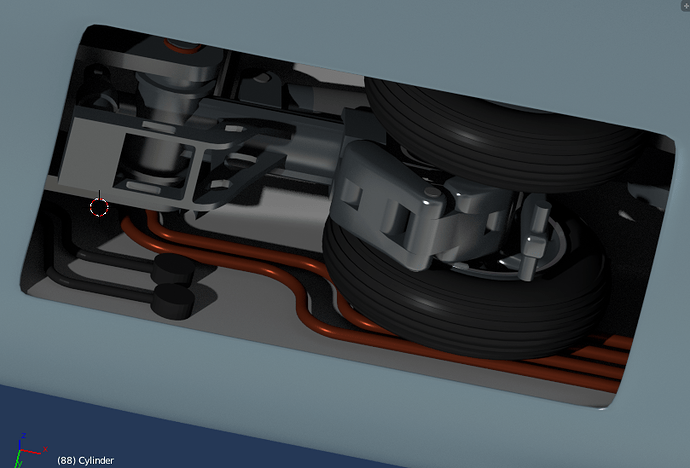 The leg rotates to stow the u/c in the wing, so I have implemented a rotating pipework system. I am checking exactly how the real plane worked, but precise drawings are very scarce! PS didn’t someone try to build a F14 u/c? The pipework on that aircraft works the same as this one I have done. 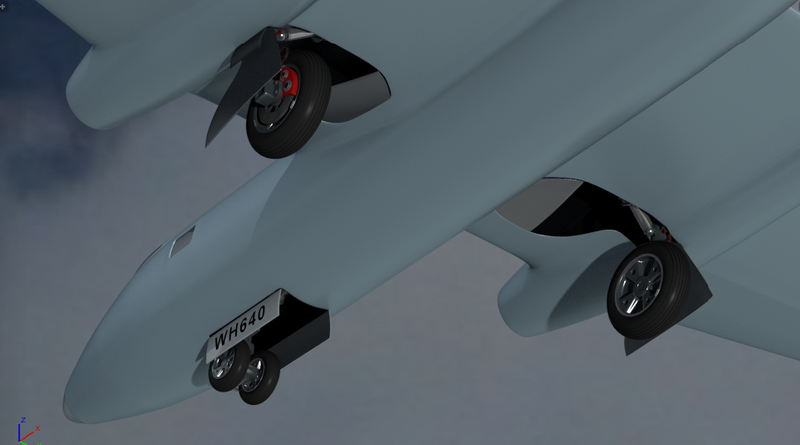 I am about done with the undercarriage, apart from small details, they will of course be painted white in due course, not left as bare aluminium. I cannot find what colour the brake callipers were yet - more internet searching I think. Front wheels turned to port. 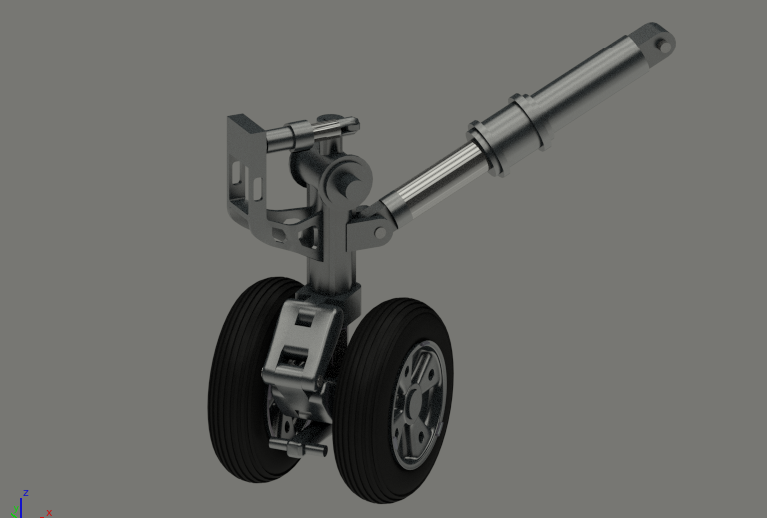 The front gear now has it’s steering mechanism installed, and it’s all rigged to two empties; the first is to sequence the retracting and u/c doors, and the second is for the steering, which will also control the rudder, but will not steer the wheels when they are retracted. 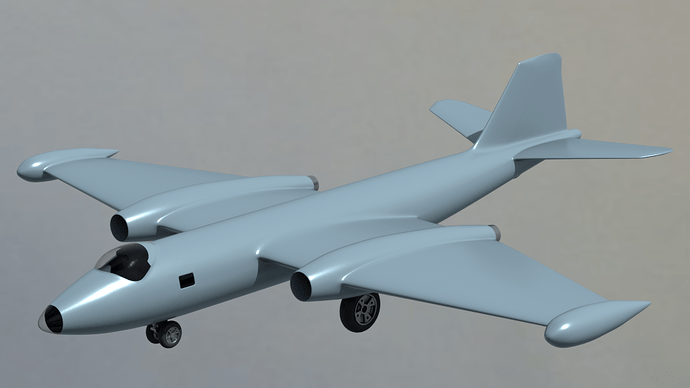 Next project will be the u/c compartments in the wings and fuselage, these have many exposed ribs, so will keep me amused for a while. I could not work the wing doors properly, until a found an obscure drawing that showed they were in three sections, one of which is fixed to the u/c leg, not two as I had thought from the main images I have - D’Oh! PS - I have had to do some guess work on this gear as I cannot find definitive pictures and the plastic kits are not accurate. Such is life. But this is Blender Land - these things are not important. Inside the front u/c bay. That’s it for today, you will be pleased to note! 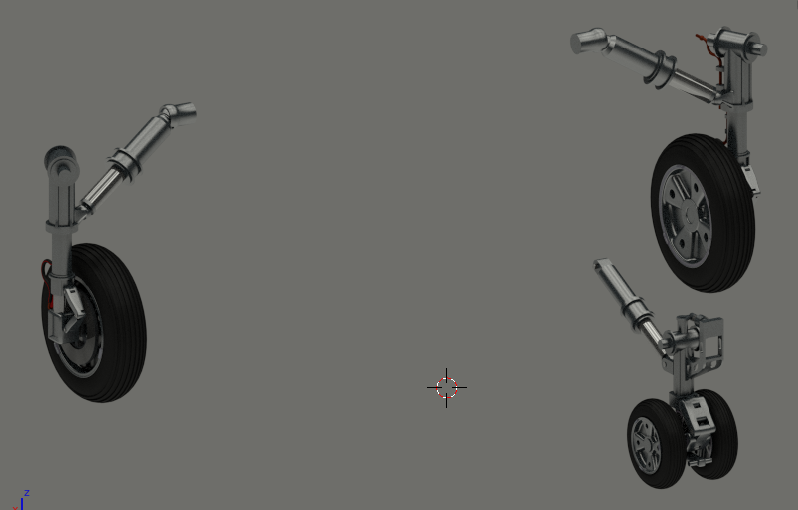 I think that it will be great model! The airframe geometry looks very clean, no flaws! Very good, the details on the wheels are great, simple, but great. And that is what I love the most, the more simple things, the more beautiful the model is. Thanks for that - I am looking at the cockpit just now - what a nightmare! 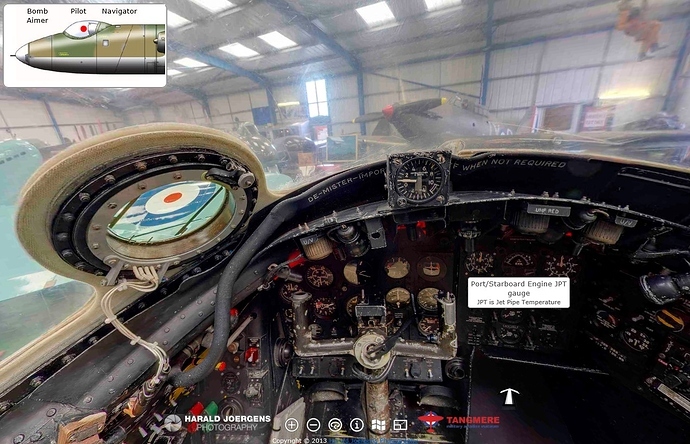 There was a virtual cockpit on the site you referenced, but I have not got it to load yet. That’s me done for the day, Thanks for the kind comments, thanks Cergina also. Just started roughing out the cockpit and bomb aimers compartments. 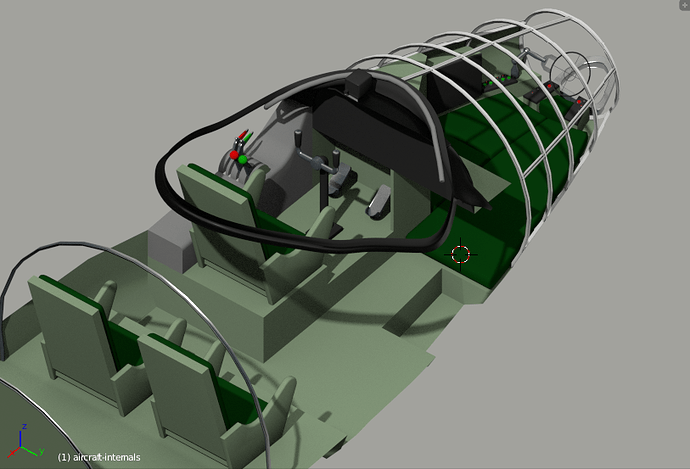 This is just to get the basic shapes and proportions at this stage, I have many photos of the cockpit, which is hugely complicated unlike modern day fighters. This will give me something to work with, development here to accurate version will be slow, so I will pick it up from time to time. 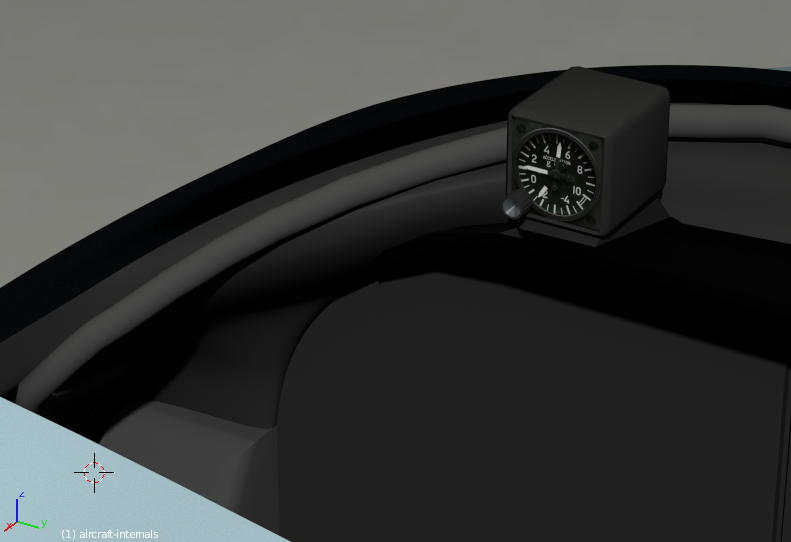 This is to be found on top of the cockpit instrument shield, so it is in the pilot’s eye line. No HUD in those days! Great progress of the work! It’s the Acceleration or “G” meter! 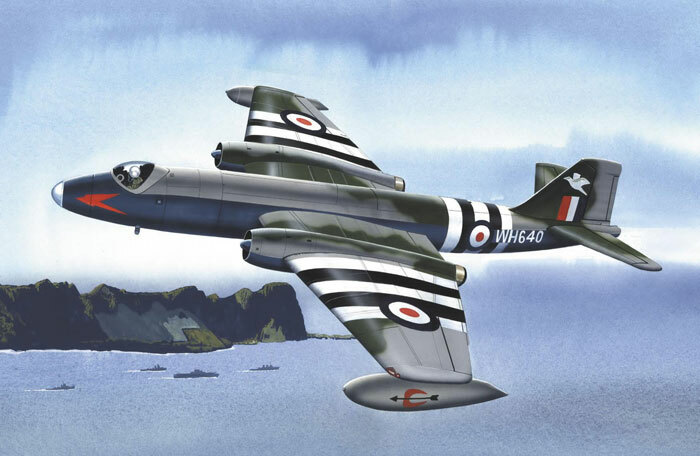 I have exactly the same instrument in the gliders I fly, it was really important not to over stress the Canberra airframe, I am currently trying to find a definitive answer as to what the maximum values in positive and negative were, the scale is -4 to +10 - I think both are way outside the airframe’s flight envelope. If anyone has a copy of the flight envelope, I would be very interested, I particularly want the VD and VNE values. The two gliders I fly, by the way, go comfortably from -2.0 to 4.5 and we regularly test these in our annual spin check flights.